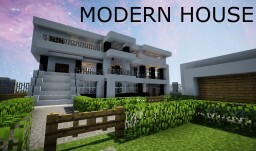 MODERN HOUSE - With Yard, Pool, and Garage! sirBlake Ship Bundle - NOW >65 SHIPS ! THEMELAND V6.5 - HUGE THEMEPARK IN MINECRAFT ! BUSCH GARDENS, SEA WORLD, SIX FLAGS ROLLERCOASTERS ! The Epic Enjin Minecraft Building Contest - Happy New Enjin !